Hebrews 13:15 Through Jesus, therefore, let us continually offer to God a sacrifice of praise–the fruit of lips that confess his name. This morning as I sought the Lord on what to write today I clearly heard….. “Sacrifice of praise”. I know as a Christian that we are supposed to do this. As a parent I praised my children when they did something good. As a wife I have praised my husband in many areas of His life…like his work on his job, his preaching and teaching and for when he completes a honey do project….that gets my highest praise LOL! How do I praise my family? I give them praise from my lips…I speak the praise….I say…”you’re did a great job”. Have you ever watched the Emmys, the Oscars or the Grammy awards? If you have… you’ve seen people getting a lot of praise for their accomplishments. They will give the stars praise in their speaking and in music and theatrical numbers. People praise their dogs a lot too. They’ll say things like….good girl…good boy… and then pat them in praise. Have you ever heard how sports enthusiasts praise their teams? They will go all out and do some of the craziest, loudest and wildest things I’ve ever seen. There are sports radio and TV stations that give you sports 24 hours a day… continually praising athlete’s and sports teams. This is how we humans praise the people and things we love and look up to. 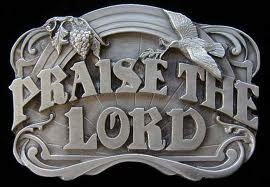 We are told in the above scripture verse to continually offer praise to our God through Jesus. 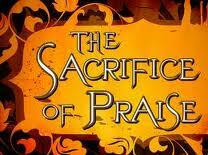 Because of Jesus Christ sacrifice on the cross we can now praise God directly with the fruit of our lips. We don’t need animal sacrifice or special dietary things to praise God with…we can through Jesus praise Him all the time. I feel I don’t praise God enough. There are times I forget to, I’m too tired to or I’m too busy to. There are times in praising God in Church that I’m not focused and I catch myself and I have to make my mind catch up with my lips. There are times I just go through the motions because it’s time to praise the Lord or somebody is coaching me to praise the Lord. I’m not happy admitting this to you all…but it’s the sad truth and that’s why I said I feel I don’t praise God enough. But on the other hand I have spent and do spend wonderful times of praise to God. 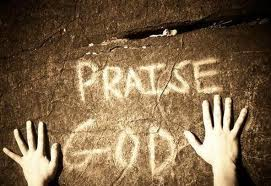 Praising God is a little different from mentally loving God because it’s something you “do and say” with your mouth, it’s the verbal and physical (hand clapping, instrument s) act of loving God through praise. 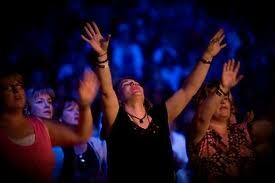 I can do this privately; with a group of other Christians such as in church or I can praise God with another person. 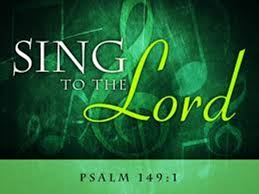 I can speak, sing, dance or play an instrument of praise to God. This praise should come from your mind, body and soul in an outward expression of adoration…not for show but in pure love for God through Jesus Christ. 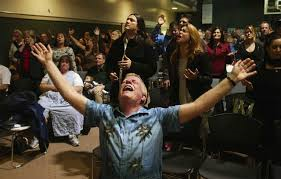 The Holy Spirit will help you to praise God…For me it’s like this…….Have you ever seen and family at a parade and the smallest child can’t see?….then the father lifts that child on his shoulders…..that’s what Jesus and the Holy Spirit do for me. 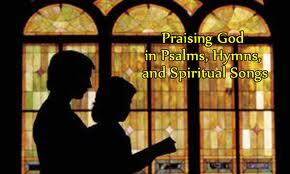 They help me to see my Holy Father God so I can praise Him. The fruit of my lips is my love and praise for my God and my goal is to do this …….continually….now and….forever! Message for today: Don’t forget to give God the praise. Confess His name everywhere and do it all the time. This morning I woke up and prayed for a message to give you like I always do and I fell back asleep. In my sleep I saw and heard myself singing this song in a church and all the people stood up towards the end and were giving God praise. The words of the song is written out for you below. 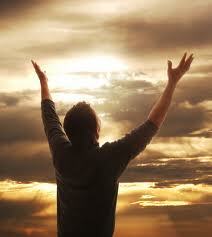 I just want to give the Lord all the Honor He deserves this morning…and always. This song says all that is in my heart……….